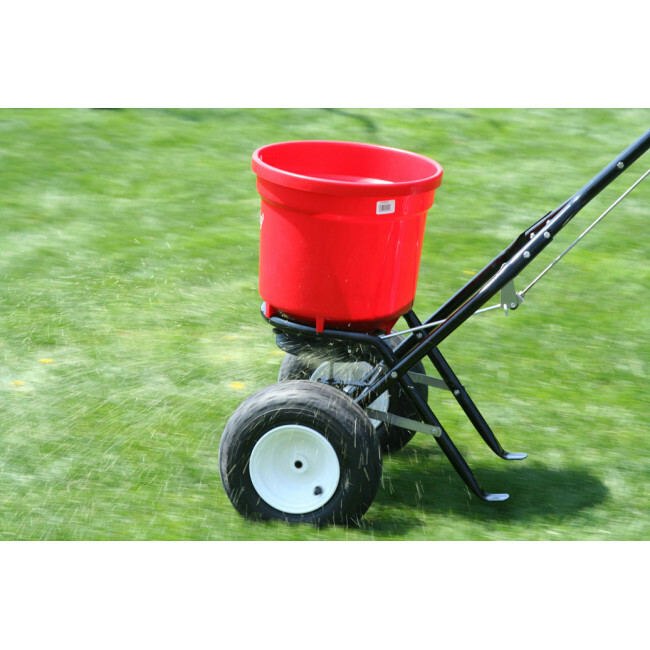 The 2600APlus is the closest you can get to a commercial spreader without the cost! 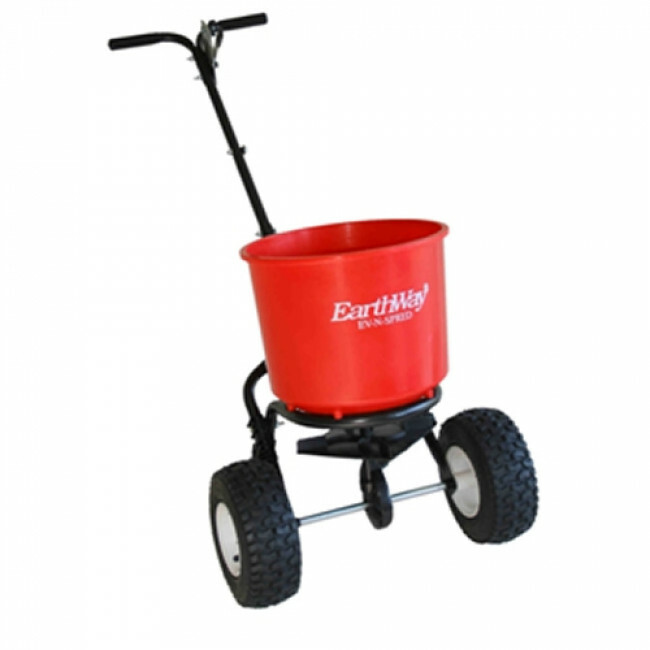 Utilising the EV-N-SPRED® 3-Hole Drop Shut-Off System ensures an even and balanced spread pattern of all granular materials. 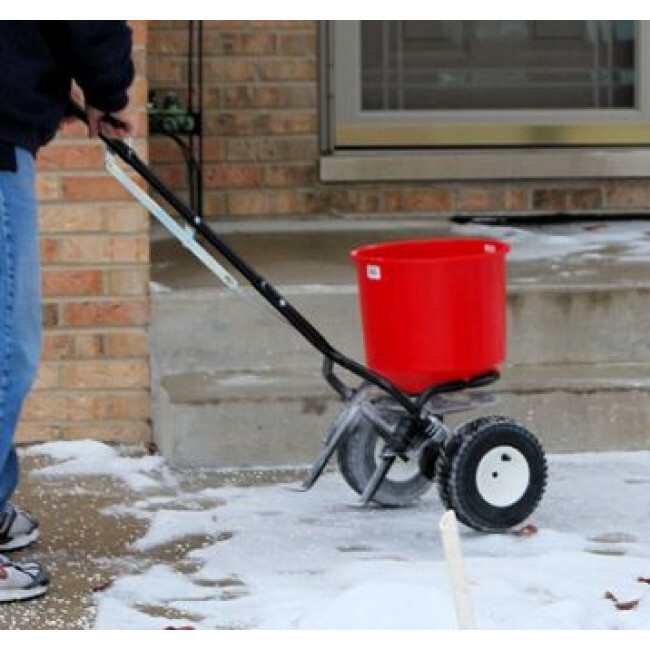 The 20cm pneumatic wheels tires roll smoothly over rough terrain as well as icy conditions. 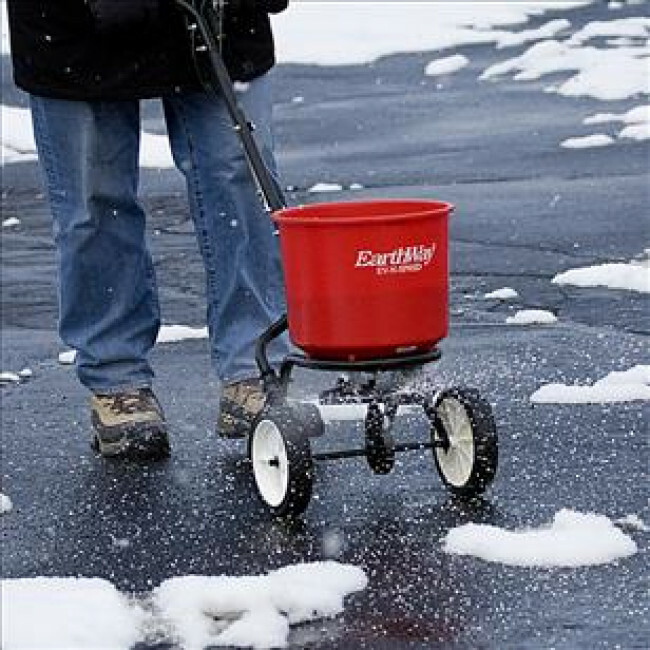 This spreader also featured a 40lb/18kg capacity rustproof poly hopper, which provides a low profile to keep it out of the way in the tightest area. A Rate Calculation Matrix is included to assist is setting for all of today’s granular products including organic materials.